A great way to mark the date, we can help you celebrate any special event. 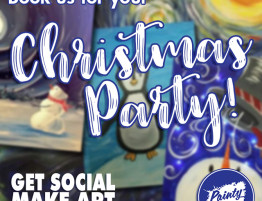 Ideal for groups of 10 or more, our parties are for anyone, children or adults alike and can be themed to suit the occasion or the guest of honour. We provide a variety of exciting events to help your team develop their creativity and innovation skills. Ideal for conferences, away days or training events, team building, reward events or client entertainment. We are thrilled to get this opportunity to help you. Make it not only unique, but a memorable event for your special cause. 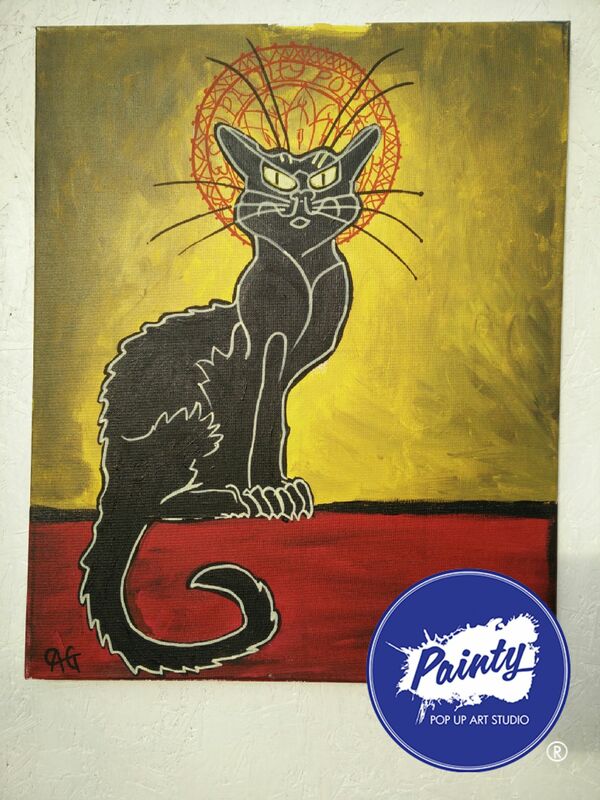 Painty® provides a fun environment for you to host your fundraiser. 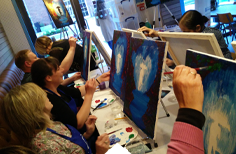 Come along with friends and try something creative. Not sure about your painting skills? 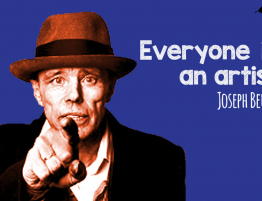 Well there is no need to worry as we provide a variety of ways to ensure you have a great night creating great work whilst mixing with lots of like minded people. 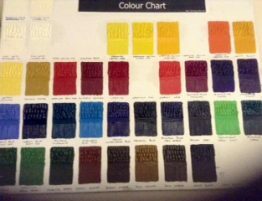 There are many options available to customise your party experience. We include ALL of the supplies needed. Daytime or evening, midweek or weekend . 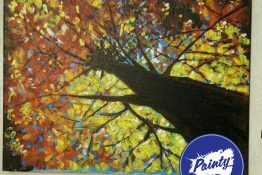 Choose from the style of event – step by step, painty by number, colouring in canvas, combine a few or do something new! 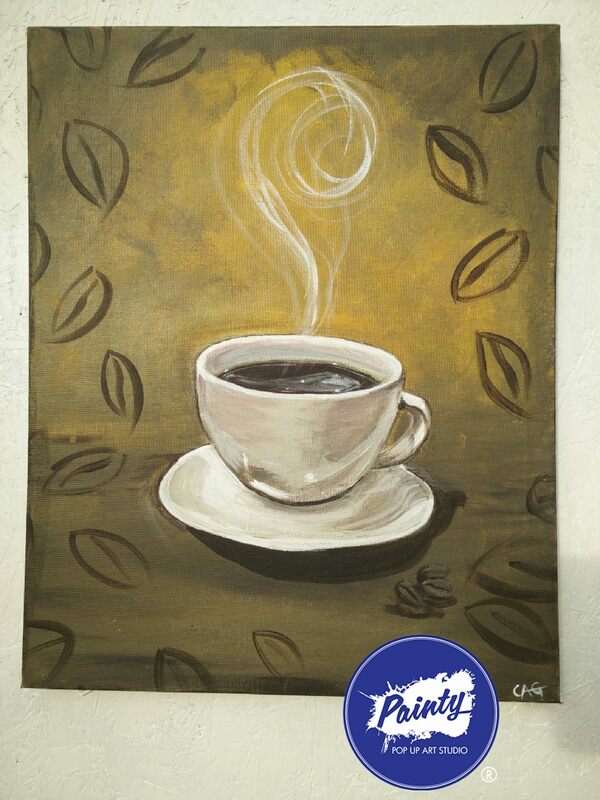 We can even design a CUSTOM painting for your event! 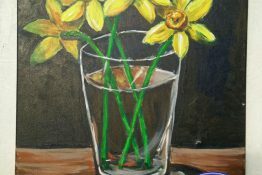 Individual paintings for each guest to take home, or group canvas for the guest of honour. 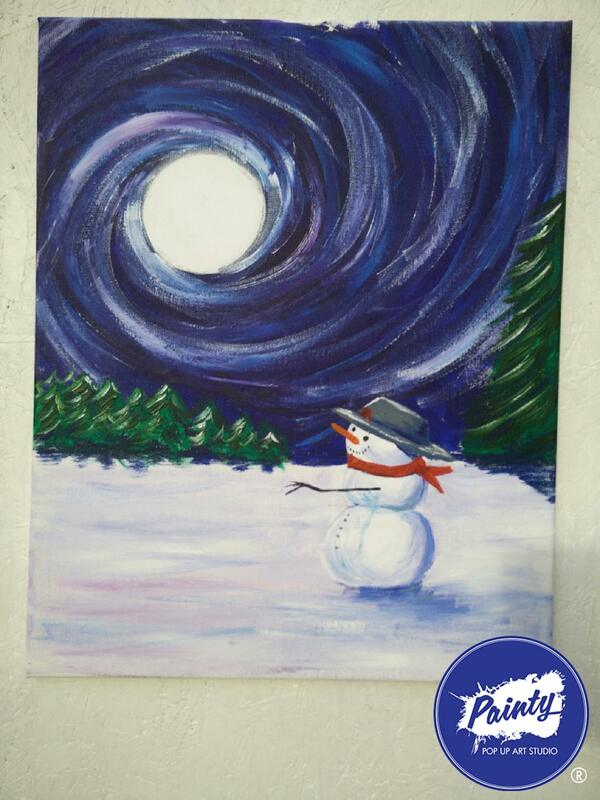 Why not choose a Painty® party for your next celebration. Find out about the variety of parties we cater for. We can operate anywhere that suits you. Encouraging everyone to tap into their inner artist and support one another while having fun and stepping out of their comfort zone. Using art to explore issues, aid group communication, teamwork and creative problem solving. Creativity is beneficial to personal and professional development and is vital to businesses who want to stay innovative. To find out more about our corporate event click below. 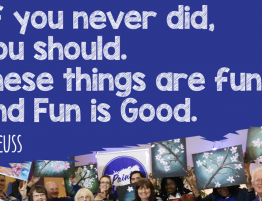 A Painty® party for any organization is a powerful way to connect with your supporters and provide an enriching team experience. Whether you’re raising funds for a school, for your team, or for a cause that means the world to you – We can help! To find a better way to do your fundraising then click below. 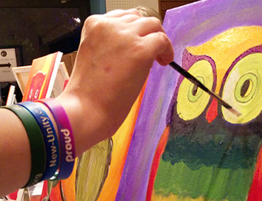 Check out our calendar for regular, public, social painting nights at a venue near you. 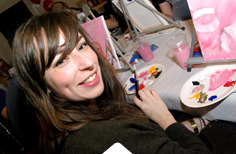 These social painting parties are a fun, relaxing environment to enjoy your favourite beverage, chat with friends and maybe make some new ones while painting a masterpiece. You don’t have to do any setup or clean up. Just bring yourself or maybe a group of friends and be ready to have fun! Not sure about your painting skills? Well there is no need to worry as we provide a variety of ways to ensure you have a great night creating awesome work whilst mixing with lots of like minded people. 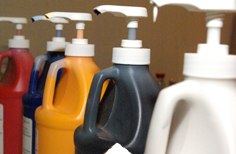 See three of our methods by clicking on the button below. 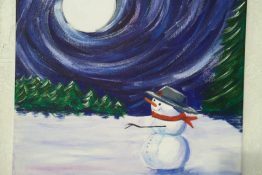 Snowman Moon – can have lights added! 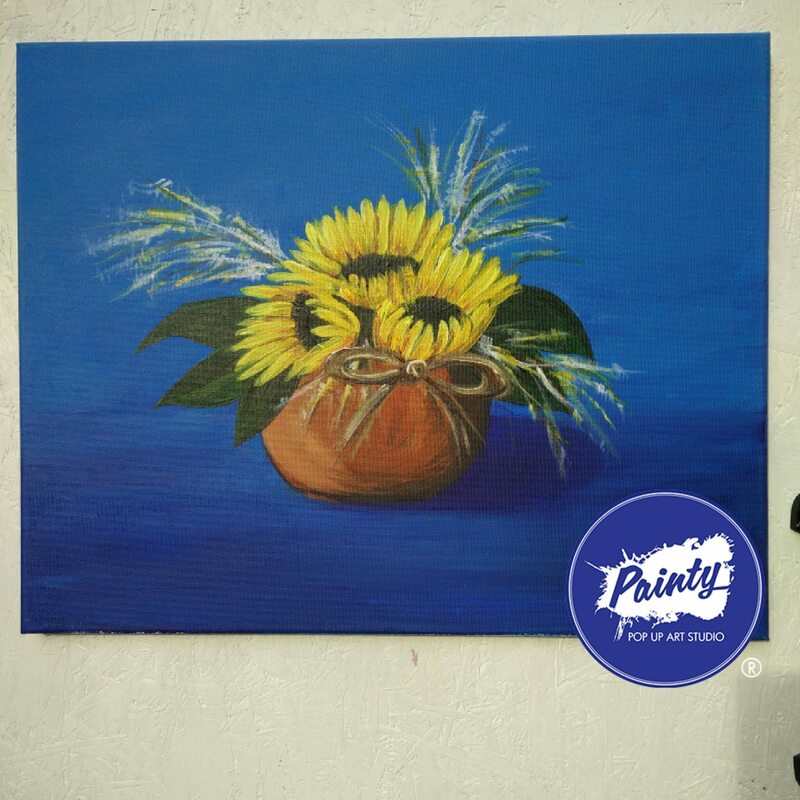 "Loved Painty®! 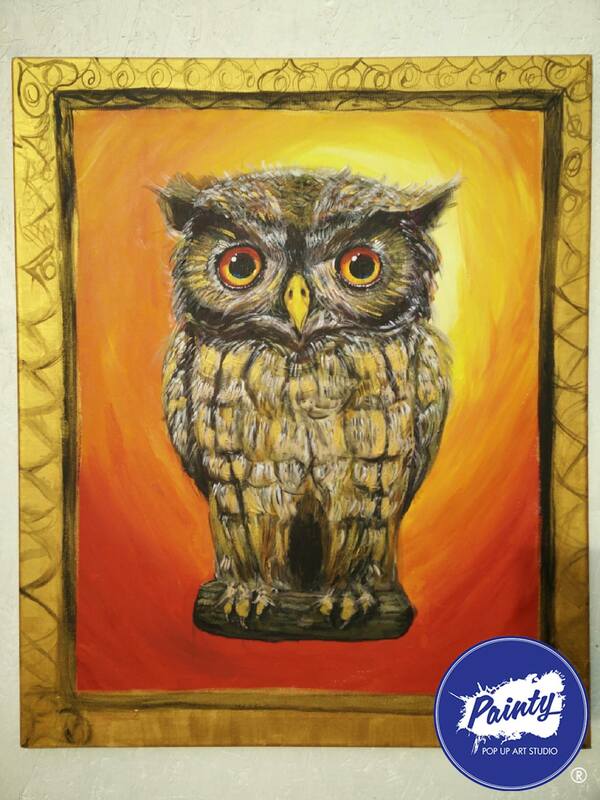 I have never had any artistic talent so I was a bit skeptical about going at first. We had a great evening, good instruction from Craig with a little guidance when I felt I was going off track and lots of laughs along the way. In the end, with a little twist of my own, I was really proud of the painting I created and it is now in pride of place on my wall instead of in a cupboard where I thought I would end up hiding it! 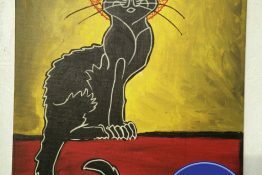 I will definitely join in again and the price for an original painting and lovely food included is worth every penny"
"Not painted since school. Great relaxed environment which helps push you. 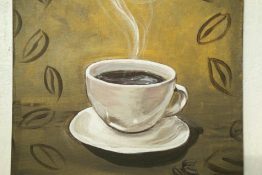 Lovely setting that not only became a hobby but a great way to meet new people....plus discover the world's best brownies!" 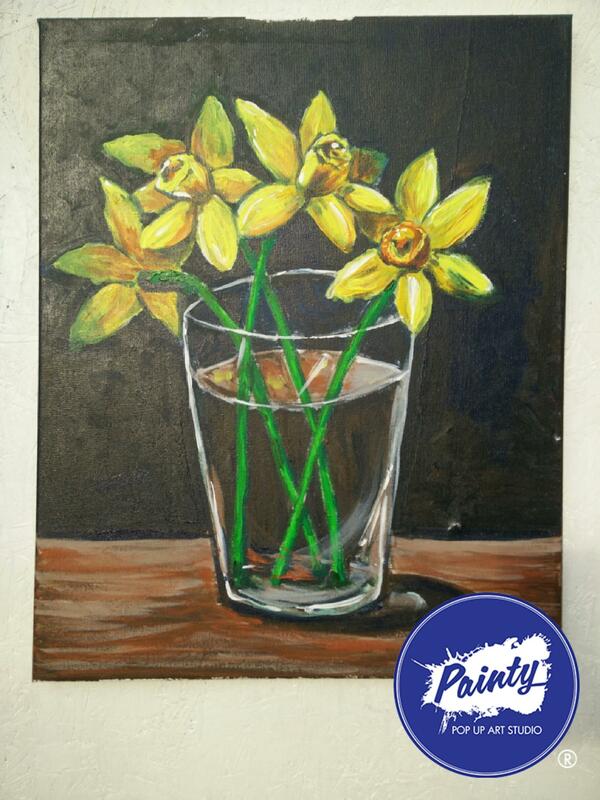 "You could tell them that we hadn't painted since school (bad memories - being told off for using too much paint!) - but we love it SO MUCH we now bring the whole family - and any friends who happen to be in town smile emoticon It's just so relaxing and fun - the time goes past so quickly!! Much better than all these mindfulness colouring books for adults - as it's also SOCIAL!" "Had a brill time this evening with Painty®! 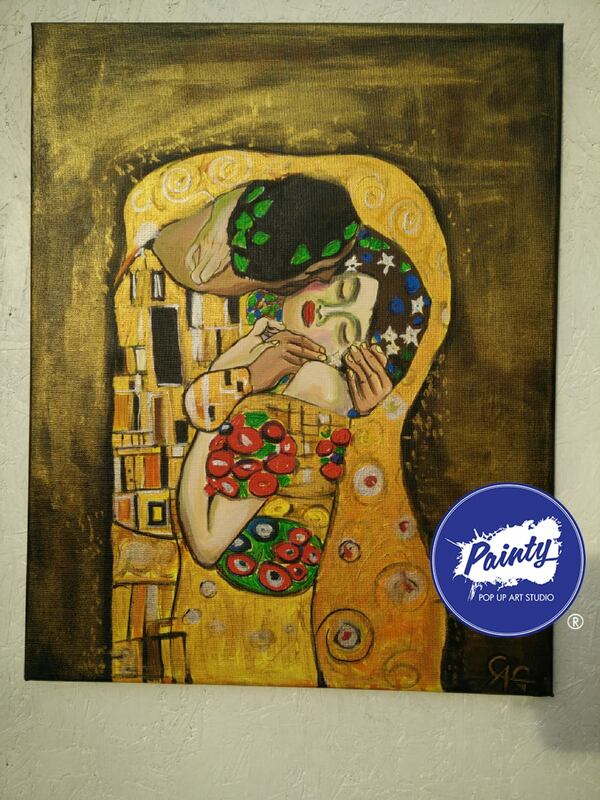 Reignited my passion for art and I love my 'masterpiece' that will have a new home on my wall. 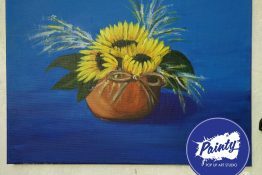 Thank you again"
"Recently took part in a Painty® gathering at Portofino Italian restaurant in Hanley for my birthday, and loved it! And so did my friends and family. A great idea, brilliantly executed with a friendly, funny, encouraging leader. I left with a mini masterpiece and a few new techniques. 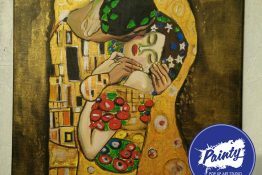 Pizza, pasta and painting -now that's a good recipe for a fun night out. 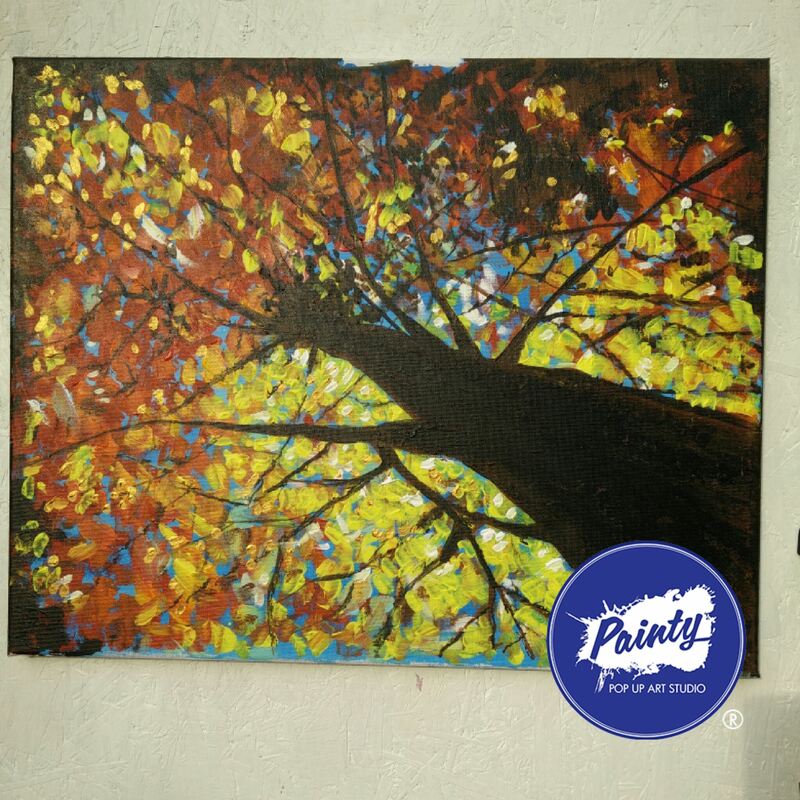 I'll definitely be sharing Painty with my customers , colleagues and friends. " "5 star! Absolutely loved the night at Boston Tea Party. Never believed I'd create anything like what I have. Can't wait for the next event! Officially a fan!!!!!" 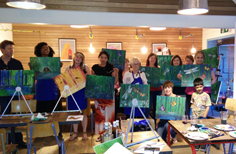 "For my birthday I went with my mum and a friend to a Painty® event... 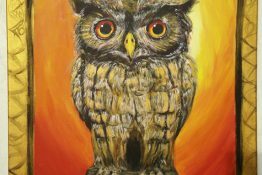 It was excellent... We each came away with a unique artwork of our very own... No prior experience needed all you had to be able to do was hold the brush and take a little instruction!"